Our experience is safe, fun and professional. We provide the latest cutting-edge equipment for your combat mission including thermal goggles, camouflage overalls and dangerously accurate guns! Our Battle Royale paintball for juniors is our open session paintball. You can come along solo or with your mates and join other players for a Battle Royale fight to the finish. Our sessions are available in either of our half day or full day sessions. We offer a variety of packages to meet your tactical needs. We also provide a pizza and drink for your refreshments. READY TO START YOUR NEXT ADVENTURE? 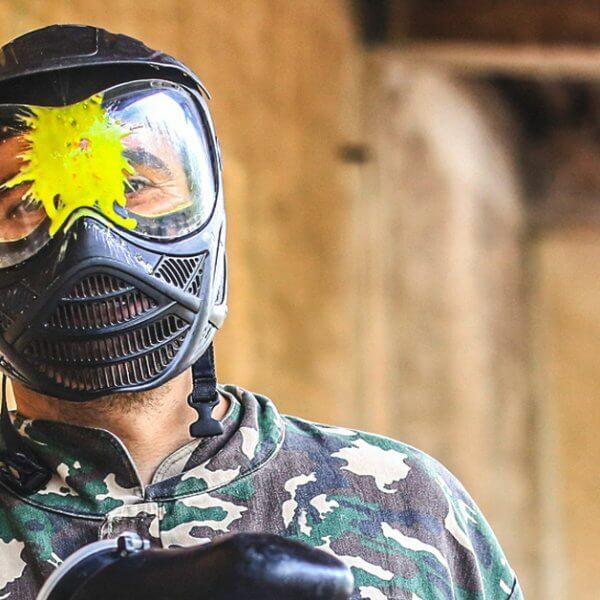 Extra paintballs can be purchased on the day. All prices are per player. Thank you very much indeed for a fantastic party! My son and his friends had a great time. It was one of the most stress less parties for myself as everything was so well organised by you. I really do appreciate that and would love to come back again next year or maybe sooner. The pictures are great too! Thank you once again. Dear Zap folks….Just a line or 2 to say once again thank you for an amazing experience for our 3rd visit to you for children’s birthday parties – your staff are always fantastic, professional and friendly, and it was lovely to have the fresh-cooked food afterwards too – a lovely day, thanks all.